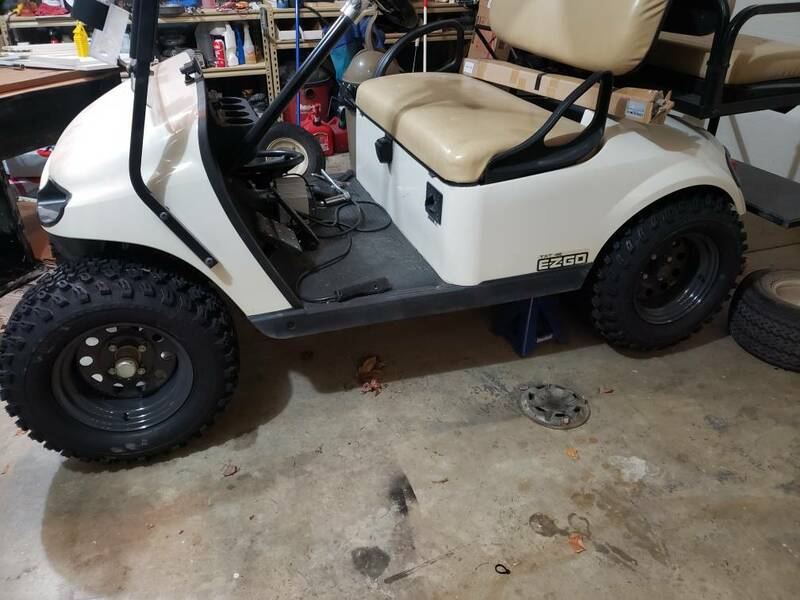 I just bought some 23x10.5-12 wheels and tires. I also bought a set of heavy duty rear springs. 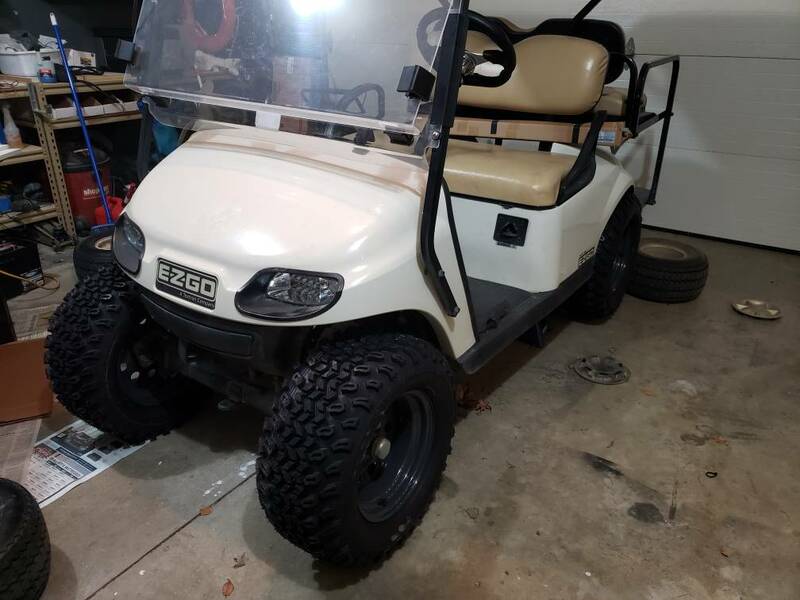 I am looking for the least amount of lift I can get away with (that wont rub on every bump) this cart is used on pavement and occasionally grass (not much offroading). I think 6" would be way too tall considering without any lift the rear just rubs the fenders. You all think I could get away with 3" lift on this? at least 5" for 23s. 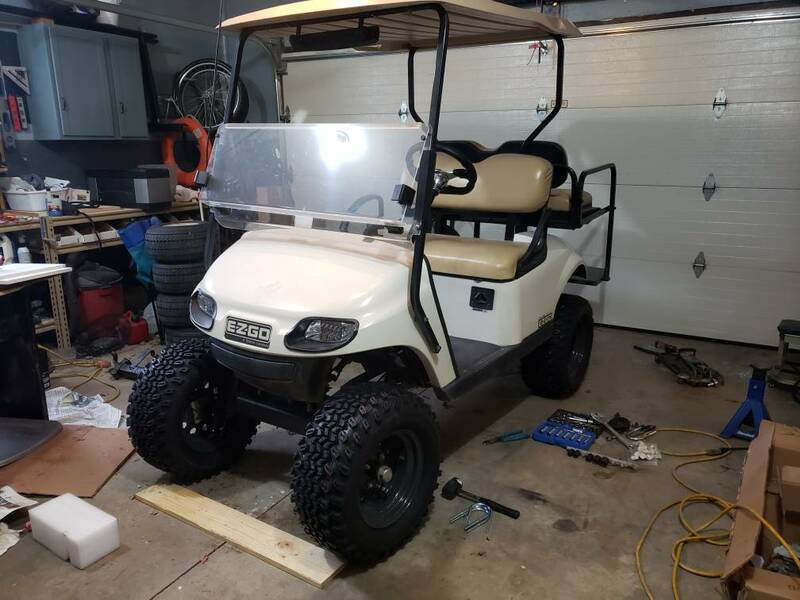 3 Inch Axle Lift: 22" x 11" - 12"
4 Inch Axle Lift: 22" x 11" - 12"
5 Inch Axle Lift: 23" x 11" - 14"
There is a guy in my area who sells a lot of carts with 3” lifts and 12” wheels. I can’t tell if tires are 22” or 23” though. All his stuff is Yamaha as well. In my experience w/23s the left front tire will be rubbing the brake pedal.. even on a 4" lift. edit: I see on all sports site the 4" spindle lift verses dropped axle lift will handle 23s, beware of poor turning radius though. Actually the AllSports kit has a wider footprint in the front. No rub at full lock with 23’s on my PDS. Ended up going with a 5" rhox axle lift. No clearance issues and is not overly tall... now to paint or wrap? Looking good, that's the way I would've done it.